« Каков динамический диапазон глаза человека? A still night river scenery. 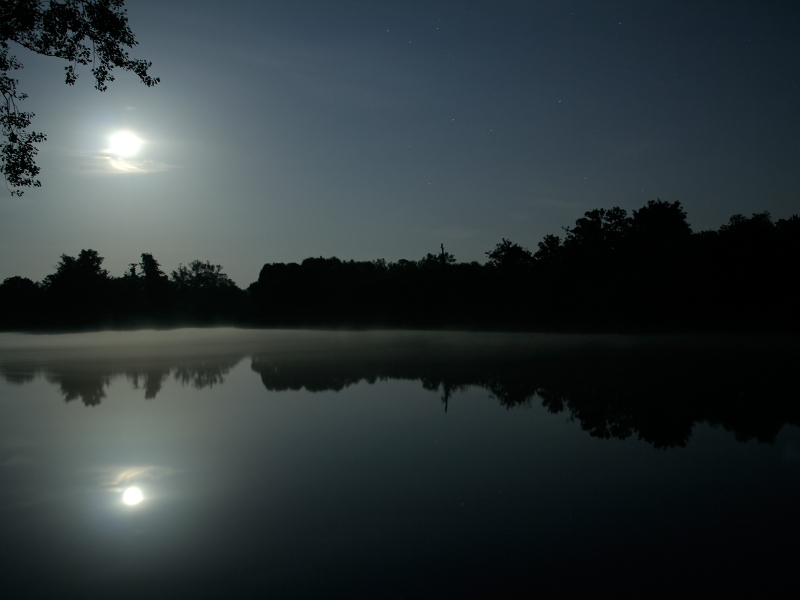 Full moon reflects on calm water, and the fog is flowing in the chilled night air.